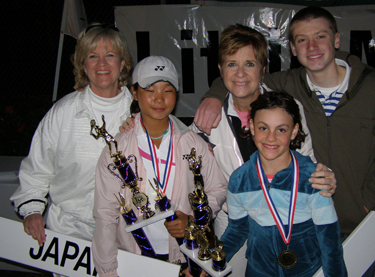 It was a long week for players from all over the world, and not because they were playing tennis all day. 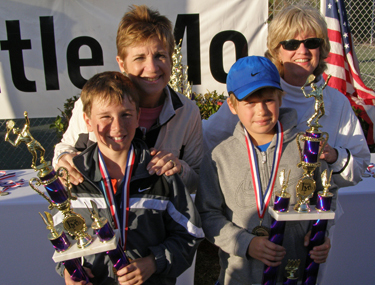 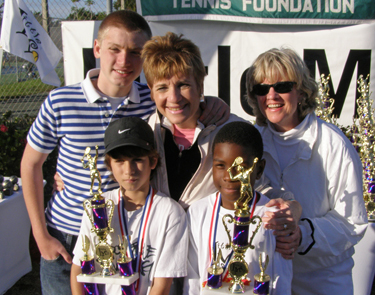 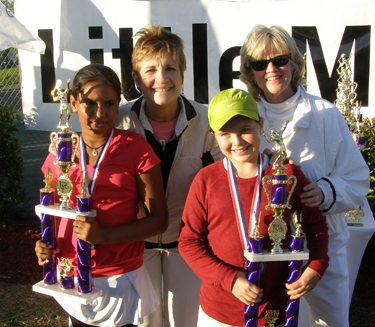 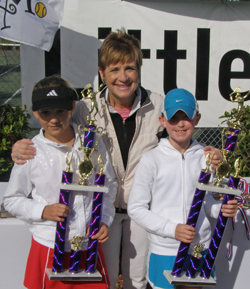 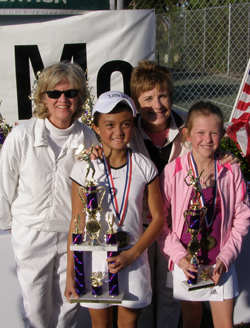 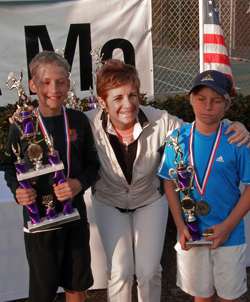 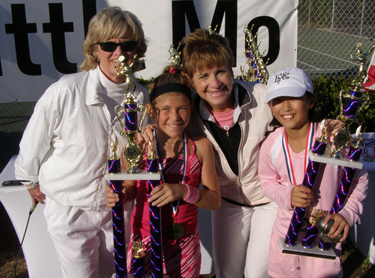 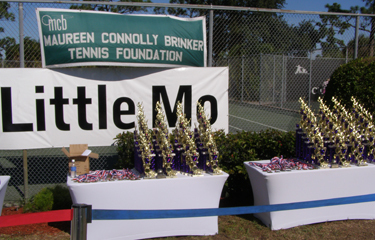 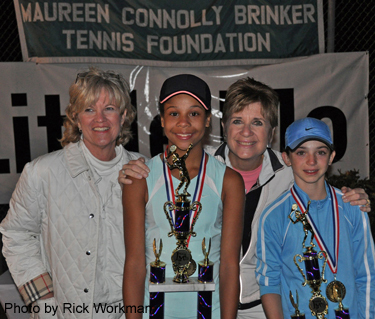 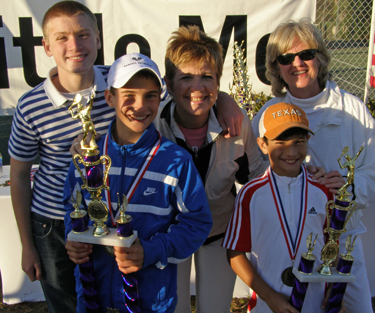 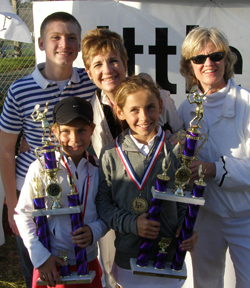 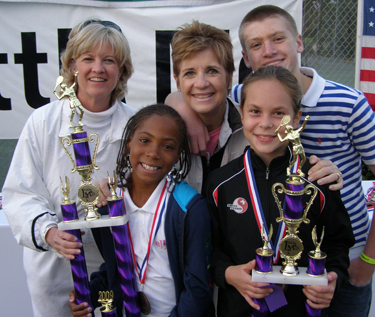 The rain kept the original schedule from being followed, but the "Little Mo" International Championships still went on and all the players in the 8 and under, 9 and under, 10 and under and 11 and under age groups of this event got to go home with trophies. 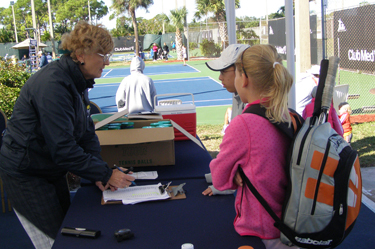 This tournament never would have been completed without the very hard work of Tournament Chairwoman Carol Weyman, Director Rick Workman and Referee Karol Wise (above at tournament desk with players), all of whom made the shortened event (thanks to two and a half days of rain) still competitive and fun for all. 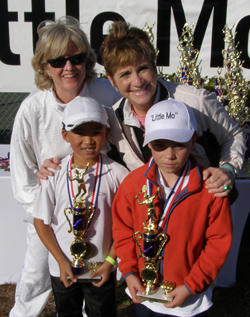 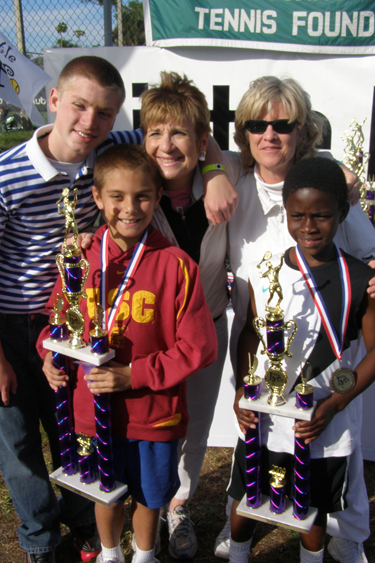 A special mention to ("Little Mo") Maureen Connolly Brinker's daughter, Cindy Brinker Simmons, who not only presented each player with a trophy, but also gave them a personal, inspirational message. 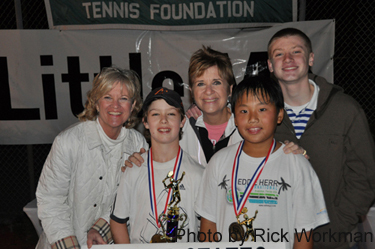 Despite the rain, there were hundreds of smiling kids (and parents) thanks to the tournament site, Club Med Sandpiper, which opened a week earlier than expected for the tournament despite not having completed their renovations, kept everyone well-fed, well-entertained and flying high on the trapeeze -- though I never did make it to circus tent! 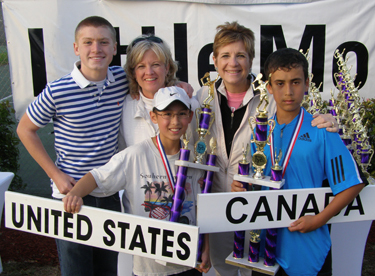 We all look forward to returning next year. 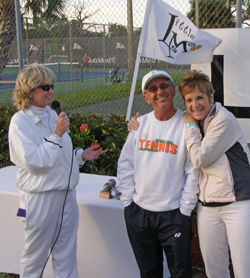 Carol Weyman (right) and Cindy Brinker Simmons (left) present Club Med's Manny Dominquez with an award in appreciation of his help. 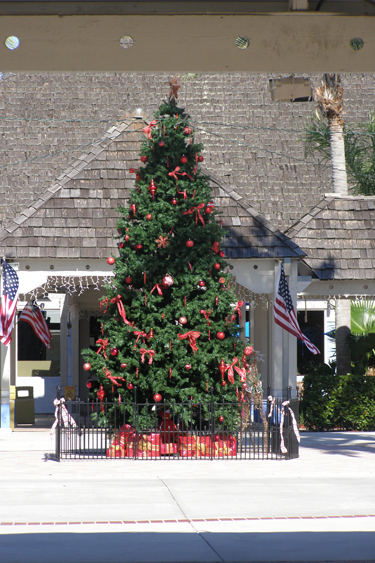 Join Best Western Rewards Best Western Rewards Members receive a minimum of 10% off all published rates. 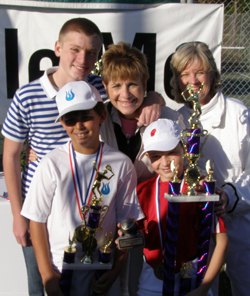 Note: It's not easy identifying hundreds of photos. 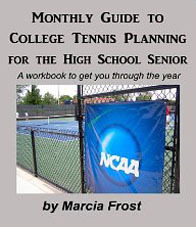 If you see a mistake (or something not identified), please drop a note to Marcia@MarciaFrost.com.